Delia Busby is played by Kate Lamb. Describe the universality of the themes in Call the Midwife, and its enduring appeal. I think the overarching theme of Call the Midwife, and the one that ensures its popularity, is humanity. The stories we see are about people, not necessarily in extraordinary circumstances but caught in the conditions of time, opportunity or fortune. For those people their stories are quietly momentous, and I think Call the Midwife is wonderfully sensitive to those small lives changed. I know the reason I love the show is that it’s really mostly about people doing their very best to live, love and help others and I think audiences respond to the humanity in that. It’s how we all should live. How has the series embraced the Sixties? The Sixties makes itself very present this series, unprecedented things were happening in ‘62! We make it through The Cuban Missile Crisis with the Nonnatus women and, of course, Trixie gets some stunning new outfits. Could you deliver a baby for real? Actually, on balance, absolutely not. I could be supportive and calm and I don’t think I’d pass out or anything, but I am utterly unqualified. Make no mistake, I’m calling a midwife. What are your favourite types of scenes to film? Do you ever get emotional when filming? Everything’s so well written and real that it’s really easy to tap into the emotion. The moment you think about the story, you can’t help but get swept up in the feelings. I like the personal scenes too - you can sit and relax and get to know the character. 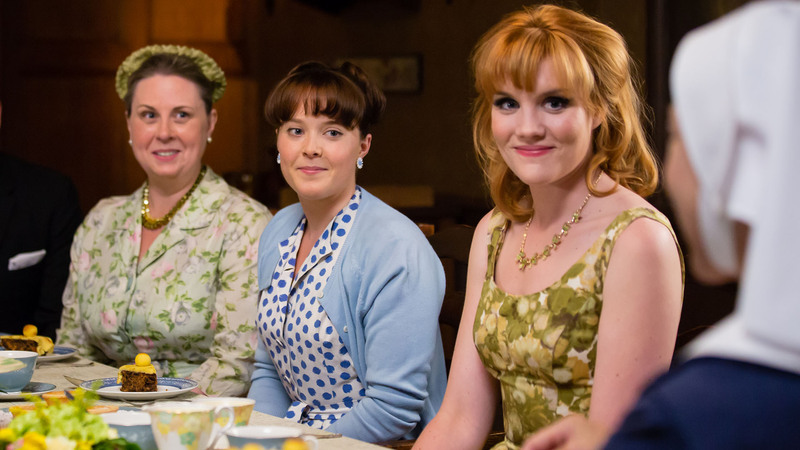 What makes Call the Midwife so successful? The presence of women in the show extends beyond the characters as well – into the production team, the writers, the casting crew, directors and more. I think you feel that in the series.